It is one of the three pilgrim feasts when all Jewish men were required to journey to Jerusalem and bring an offering to the Lord. During this weeklong celebration, families commemorate this time by building and dwelling in temporary shelters as their ancestors would have done in the wilderness. These shelters, or booths, remind us of God’s protection and provision. This year Sukkot begins on the evening of October 16th and concludes on the evening of October 23rd. 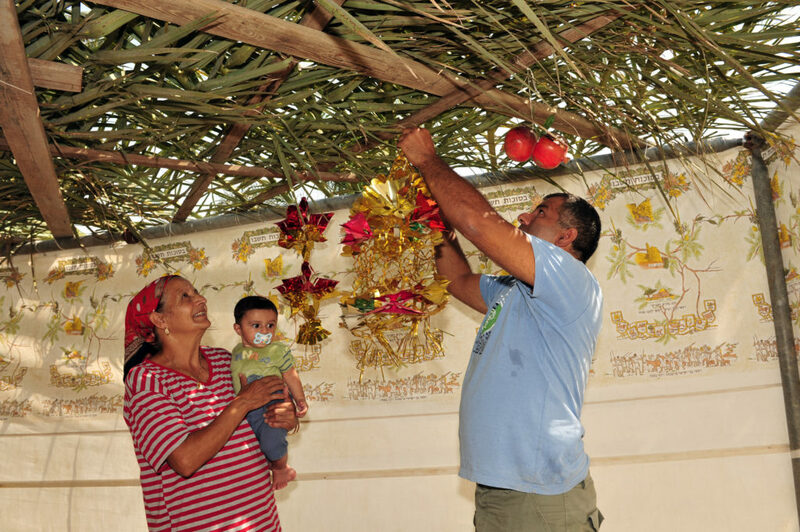 A sukkah is generally a cube or rectangle and will have 3 or 4 walls (or even 2.5 walls). It can either be freestanding, or you can use the exterior wall of a house or garage. The walls can be made of plywood or cloth—allowing space for a door of course. The roof is to be of an organic material and should allow spacing for the stars to shine through—meaning it should not be a solid covering. Stack 3 cement blocks in each corner and insert 7-foot 2 x 4’s into the air holes of the blocks. Connect the 2 x 4’s with 1x 2’s across the middle and the top. Stretch cloth (or nail l/4-inch plywood) over the frame and one wall is complete. One wall can serve as the entrance if covered with cloth on a wire track. Place some 1 x 1’s running in both directions on the roof and cover that with rushes or pine boughs. 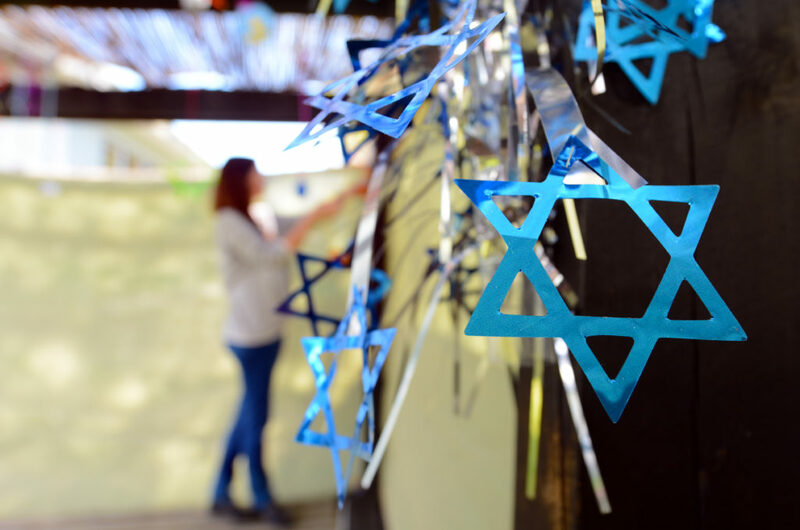 So, from all of us at My Olive Tree, we encourage you to build a sukkah with your family this year—your children will love this new tradition and you will cherish the memories!